15 Flight, Maisonneuve Squadron, 1960. 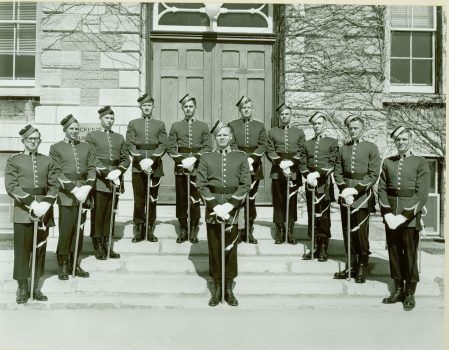 Mike Braham is front row, 1st from the left. After attending the final Sea Supply Officers Course (before they became integrated Logistics Officer Courses) in CFB Borden, Mike was posted to the Dockyard in Esquimalt as the Fleet Service Officer – essentially an emergency supply office tasked to deal with urgent issues that could not be handled through the usual channels. That posting was “an excellent preparation” for his “most satisfying sea-going job,” his appointment from 1969-1970 as Supply Officer aboard the destroyer HMCS Gatineau. Over the next decade and a half, Mike served as an Exchange Officer to the United States Navy Supply Centre in Oakland, CA, with the Other Ranks Career Development Study Team in NDHQ, attended the Canadian Forces Command and Staff College Course and the Directorate of Procurement and Supply Land before being posted to Brussels with the Canadian Delegation to NATO. 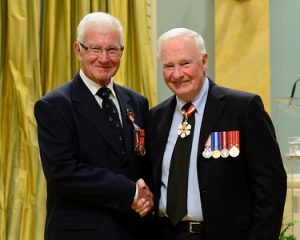 “Following my release from the Canadian Forces in 1987,” he explained, “I joined Emergency Preparedness Canada as the Director responsible for national emergency plans and exercises.” The dozen years he spent with EPC were among the most satisfying and rewarding of his career. New Emergency Legislation, introduced in 1988, required a dramatic shift in national emergency planning focus and, along with my his dedicated team and emergency planners from all government departments they worked on, and exercised new plans with their provincial counterparts. 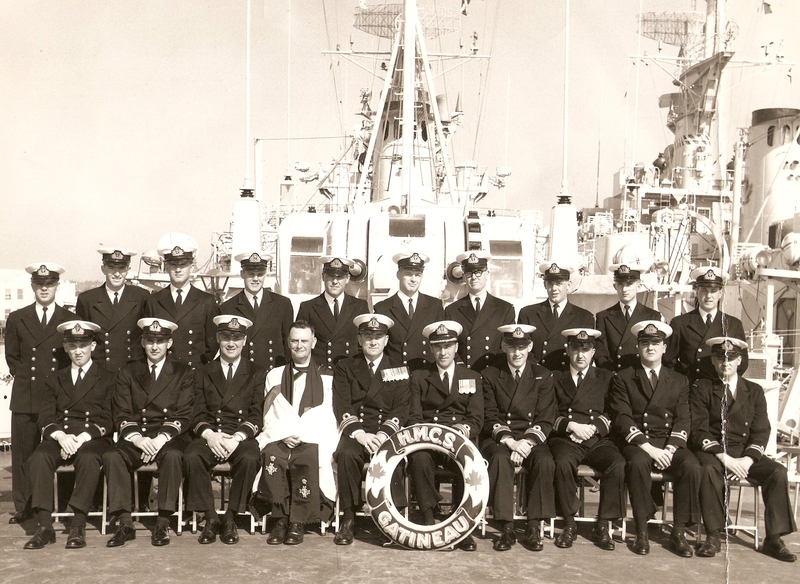 Officers of HMCS GATINEAU 1966. 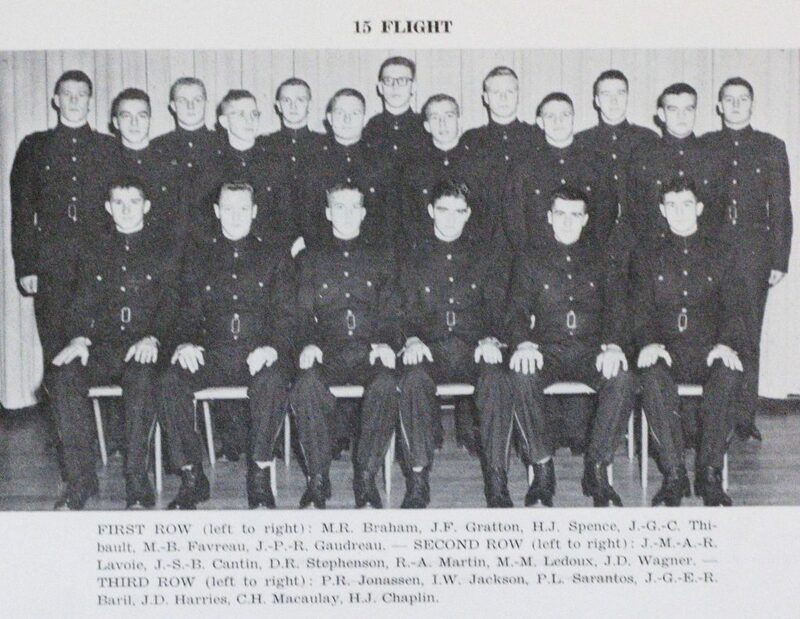 Mike Braham is rear row, 3rd from left. When asked how he stays connected with his class over the years, Mike was quick to respond, “The Gatineau Five!” As he explained, “Five of the class of ’65, myself, 6602 James Cale, 6604 Jim Carruthers, 6069 Peter Houliston, and 6439 Hugh Spence, were all posted to the same ship (HMCS GATINEAU) on graduation (which is a record, I believe). Now, over fifty years later, we all live in Ottawa and get together with our spouses on occasion to trade old war stories.” That Gatineau Five was also instrumental in getting the Class of ’65 Newsletter off the ground. “At one of the gatherings, it was suggested that the Class should have a newsletter to bring classmates closer together. I drew the short straw and have been producing one fairly regularly for almost 10 years. 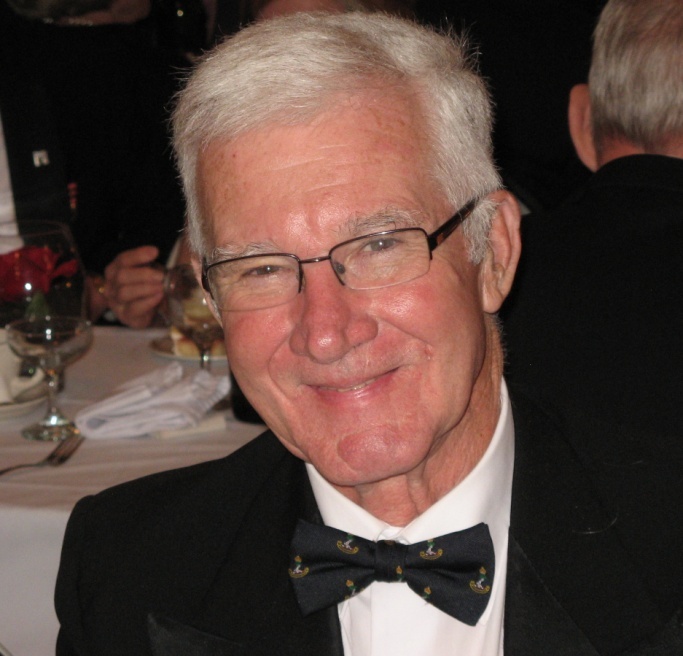 We are currently on Edition 117!” Mike Braham has also been a regular attendee at the Ottawa Region Class members and he attended their fifth reunion at RMC in 1970 and their reunion in 2010 when the Class entered the Old Brigade as well as their reunion in 2015.